As part of an ongoing remodel, the State Fair of Texas has officially hired someone to do the voice of Big Tex, confirmed spokeswoman Sue Gooding. Exactly who, they will not reveal — not until September 27, when the 2013 fair begins. Big Tex burned down in October 2012. The fair is turning his reconstruction into the PR opportunity of all PR opportunities, trumpeting every trivial development such as the YouTube video of his hand issued in February. 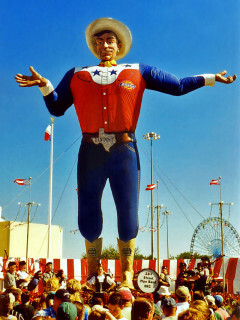 The hiring of a new person to do the voice follows the marble-hearted dismissal in March of Bill Bragg, who'd been the voice of Big Tex for 11 years. Bragg was so heartbroken that he posted an update on his Facebook page, asking Mayor Mike Rawlings for help. "I love the State Fair and I love Dallas; can you please help resolve this matter?" he asked. 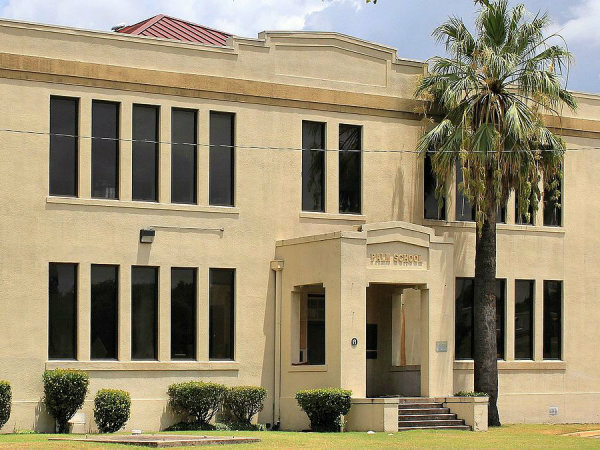 A pool of 111 people applied to replace Bragg. Fair organizers narrowed it down to four finalists, before settling on the candidate who sounded the most like what a large 55-foot-tall metal sculpture wrapped in fabric might sound. Gooding told NBCDFW that they chose a male who is a longtime North Texan and is approximately the same age as Big Tex himself — i.e., someone who sounds like Bragg. George Takei. His tone is so warm and mellifluous, you might lose track of the rides and booths. Gilbert Gottfried. Admittedly, his range is limited, but it definitely stops you in your tracks. Pee Wee Herman. Comes with Big Top experience! Howard Stern. Notorious "shock jock" has a classic radio voice.